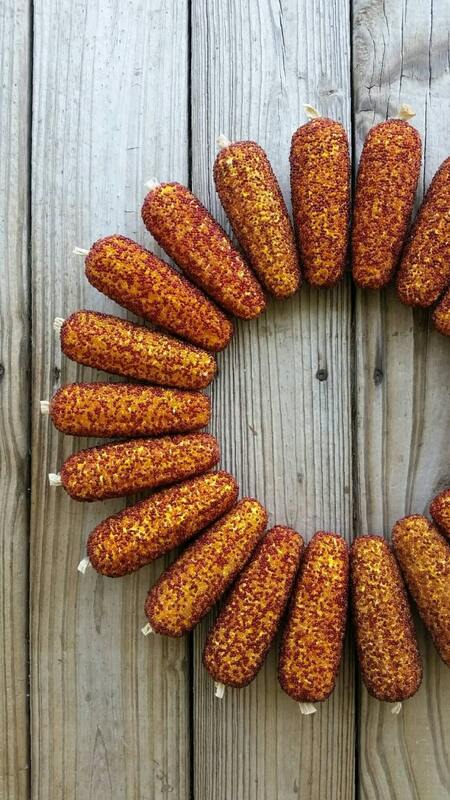 The harvest season is upon us and our Fall corn wreath is the perfect door decor statement. 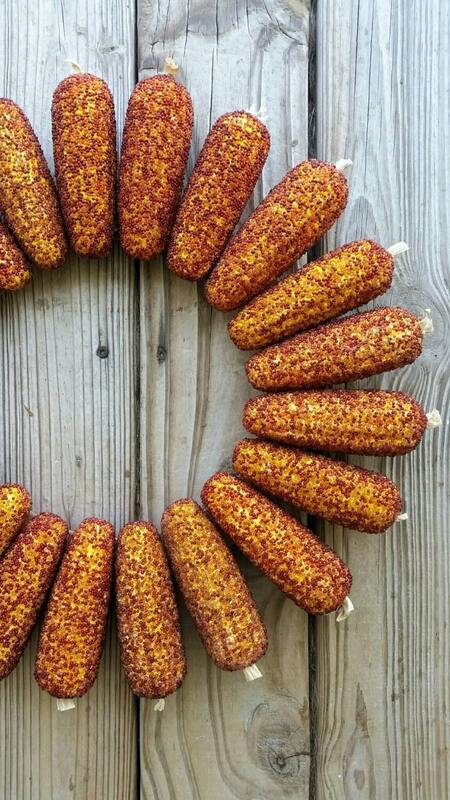 Artificial Indian corn with just a touch of glitz adorn this elegant wreath. 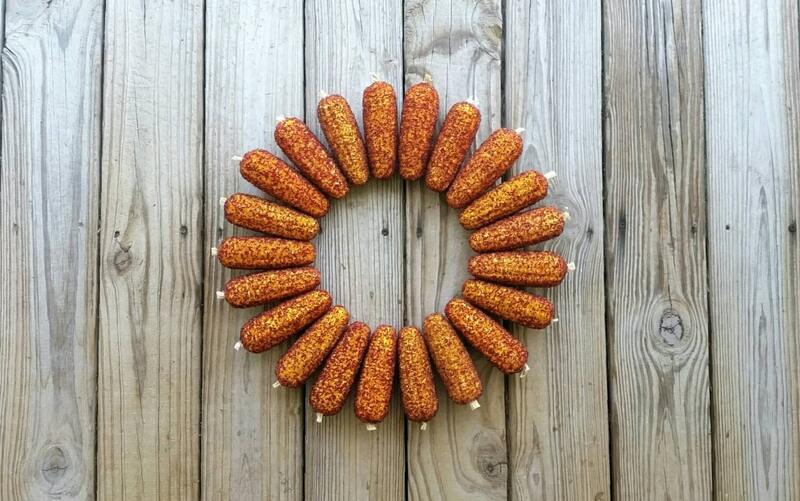 The simple design creates a beautiful sun burst in shades of yellow and orange. 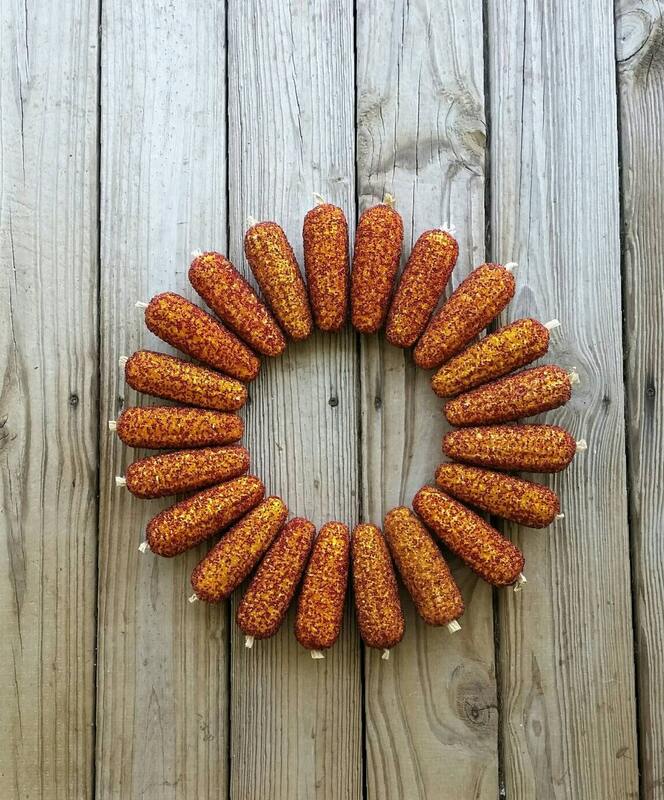 Display this wreath on your front door to welcome Thanksgiving guests or hang in your dining room. 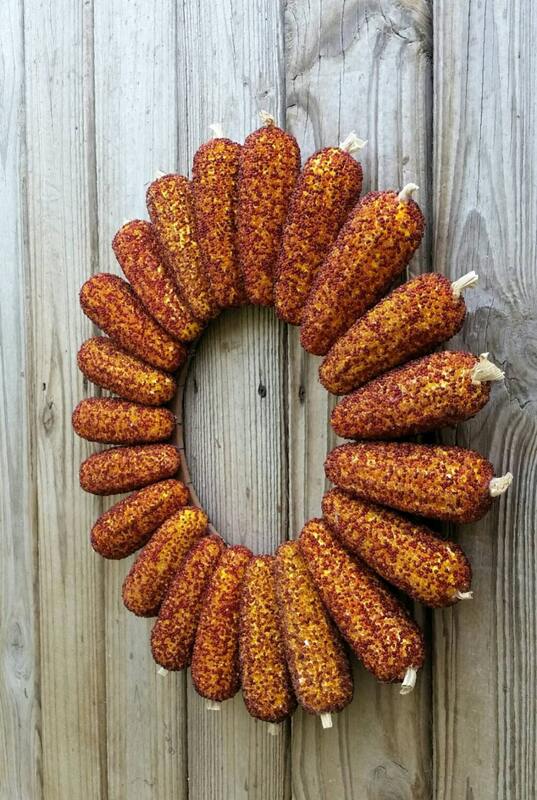 The thickness of this wreath makes it perfect to use between an exterior door and a storm door. It is approximately 19 to 20 inches in diameter (tip to tip).